On Tuesday, a court in Bahrain sentenced seven people to prison, stripping six of their nationality after finding the group guilty of attacking an oil pipeline last year. Five of the defendants were handed life sentences, one was given 10 years behind bars and another five years. The charges included forming a “terrorist group” and “training in the use of weapons and explosives.” Under the country’s citizenship law, amended after unrest broke out in 2011, the authorities can revoke the nationality of anyone who engages in acts deemed “disloyal” to the state. The kingdom has stripped hundreds of its citizens of their nationality and jailed dozens of prominent activists and religious leaders since Shia-led protests demanding an elected government erupted in early 2011. 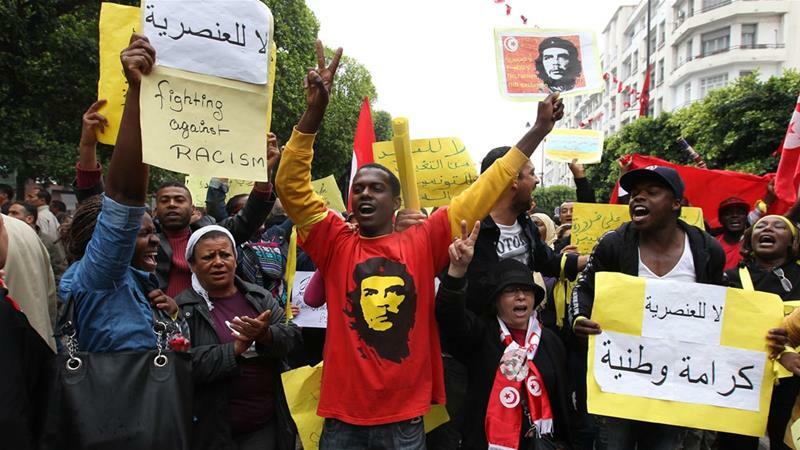 Also on Tuesday, Tunisia’s parliament voted to criminalize racial discrimination, which activists hailed as historic in the North African country. Unofficial estimates say 15 percent of the 11.5 million population identify as black. Under the new legislation, those convicted of racist speech face one month in prison and a $350 fine, while incitement to hatred, making racist threats, or belonging to an organization that propagates racism can result in one to three years in prison and fines ranging from $185 to $1,110. The law makes Tunisia the first Arab country, and the second in Africa, to outlaw racial discrimination; however, activists say a lot more is needed to change racist beliefs, which they say remain deeply ingrained in Tunisian society. On Thursday, the Trump administration said that it would shutter the United States Consulate in Jerusalem, which will effectively downgrade American representation to the Palestinians. This comes as yet another blow since the president reversed longstanding American policy and recognized Jerusalem as Israel’s capital late last year. The United States then moved its embassy to Jerusalem from Tel Aviv, angering the Palestinians. The consulate’s stand-alone diplomatic mission has functioned as a quasi-embassy to a future state the Palestinians hope to establish. In its place, American relations with the West Bank and Gaza will now be managed by a Palestinian Affairs Unit that will report to David Friedman, the ambassador, who has been a staunch ally of the right-wing Israeli government, a supporter of the Jewish settlement movement and a stern critic of the Palestinians. On Saturday, Saudi Arabia acknowledged that Saudi journalist Jamal Khashoggi had died, and said it fired two senior officials over the incident that has provoked an international outcry and strained relations between Riyadh and the West. The statement from the Saudi public prosecutor said a fight broke out between Khashoggi and people who met him in the consulate and led to his death. “The investigations are still underway and 18 Saudi nationals have been arrested,” the statement on state media said, adding that royal court adviser Saud al-Qahtani and deputy intelligence chief Ahmed Asiri have been fired from their positions. Khashoggi, a critic of Saudi Crown Prince Mohammed bin Salman, went missing after entering the consulate on Oct. 2 to obtain documents for his upcoming marriage. Saturday’s comments, released over two weeks since the time Khashoggi went missing, marked the first occasion the Saudis have admitted to his death. During a television news interview on Sunday, Saudi Arabia’s foreign minister Adel al-Jubeir said Kashoggi’s murder was part of a rogue operation. “The individuals who did this did this outside the scope of their authority,” he told Fox News. “There obviously was a tremendous mistake made, and what compounded the mistake was the attempt to try to cover up. That is unacceptable in any government.”Jubeir said that Saudi Arabia was taking action to investigate how Khashoggi died and hold those responsible accountable. On Sunday, Jordan’s King Abdullah informed Israel he will not renew two annexes of the 1994 peace treaty between Israel and Jordan concerning territory leased to Israel. 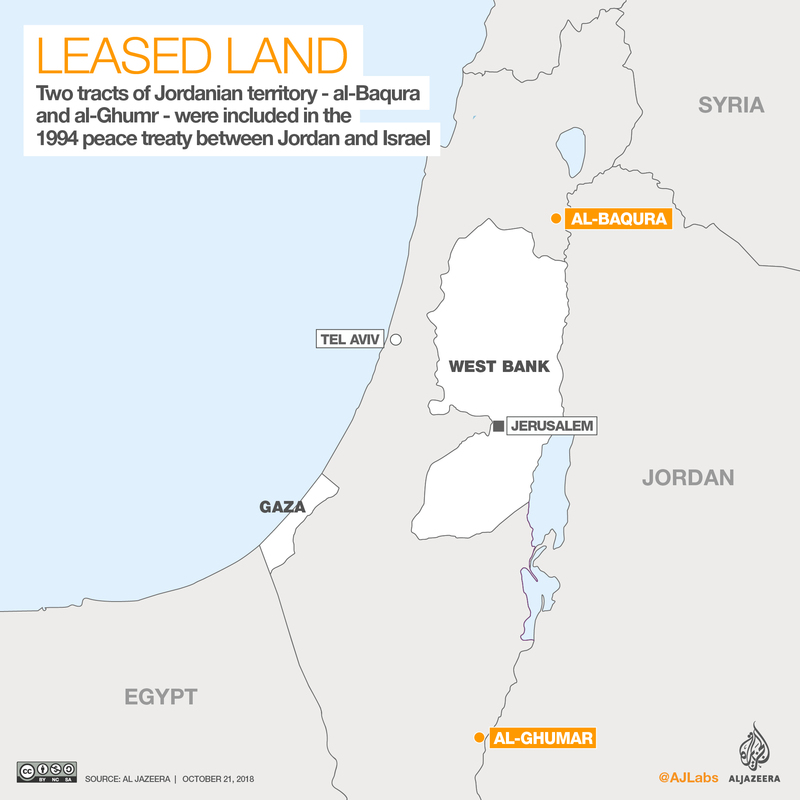 The areas are currently regulated through a “special regime” in the peace treaty where Israel recognizes Jordanian sovereignty with Israeli private land ownership. The territories – water-rich farmlands – are cultivated by Israeli farmers. Prime Minister Benjamin Netanyahu reacted to the announcement, saying Israel intends to negotiate with Jordan over extending the lease. “There is no doubt the agreement is an important asset,” he said, adding that the peace deals with Jordan and Egypt are “anchors of regional stability.” Jordan is only one of two Arab countries that signed a peace treaty with Israel – the other being Egypt. Observers said the king’s announcement is expected to be positively received by the Jordanian public amid increasing efforts by activists and civil society groups aimed at forcing the government to end the leasing of Jordanian territories to Israel. King Abdullah had faced ongoing pressure from the Jordanian parliament not to renew the leases, and to return the territory to full Jordanian sovereignty. Eighty-seven lawmakers also signed a petition on the matter.